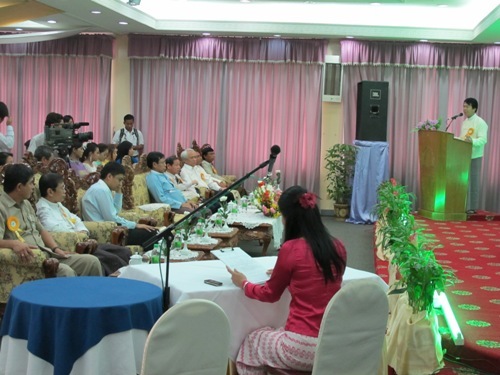 Myanmar is a beautiful country that is at the start of a transition from a long Military dictatorship and so there are naturally some limitations in terms of infrastructure but it is surprisingly modern with all the conveniences the world is used to. It is one of the safest places in the world, with the largely Buddhist population courteous, kind and helpful to foreigners who they consider their guests. 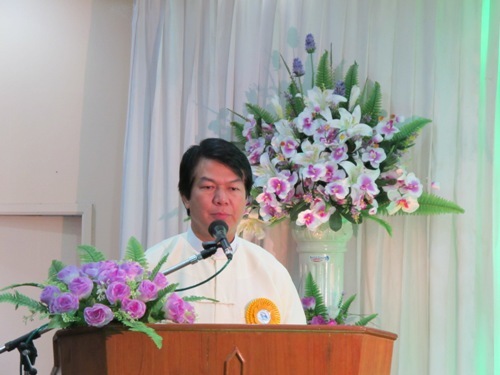 The organisers led by Maung Maung Lwin, President of the Maynmar Chess Federation and Member of the Central Executive Sports Committee of the Myanmar National Sports Committee left no stone unturned to make the event a success. Serving also as Chief Arbiter, Maung who is also an active and hands-on International Arbiter and so did the pairings while first entertaining the FIDE General Secretary who wanted to enjoy the nightlife before also hosting the later arriving FIDE President who managed to get in some sightseeing in between having quick meetings with the Minister of Sports after the Prize Giving & Closing Ceremony and then a senior representative of the Minister of Education. Central Hotel in downtown Yangon at the very heart of the city, a stone’s throw from many major attractions proved to be an wonderful venue, and the rest day saw the participants all going on a tour which highlight was of course the Shwedagon Pagoda, one of the Wonders of the World and sufficient reason alone to visit Yangon! 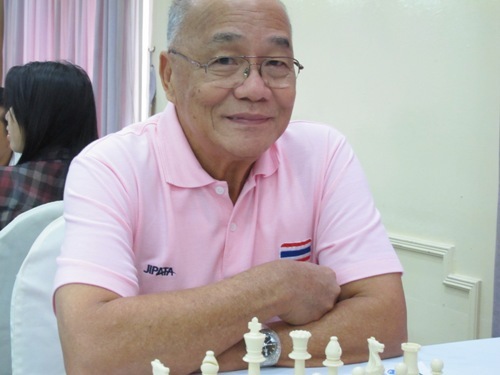 The tournament saw a total of 72 players, the bulk of which were from the host nation, but with the Philippines, China, Vietnam, India, Sri Lanka, Singapore, Malaysia, Indonesia and the USA also represented. 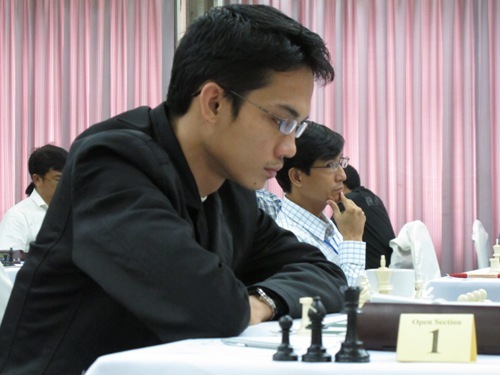 Philippine’s IM Oliver Barbosa, 2514 emerged at the end of 9 days of hard competition as a popular and convincing winner with 7.5 points. 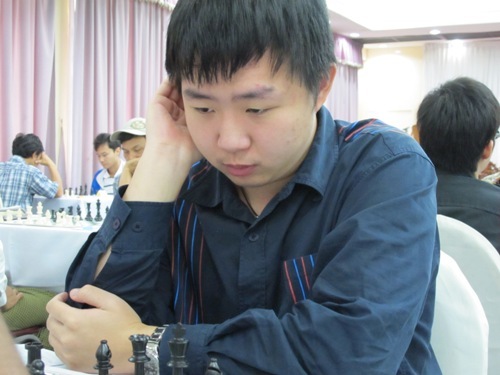 Unfancied Li Hanbing of China benefited from the pecularities of the swiss system in managing to avoid all the contenders while coming through the field to take a surprise sole second place finish on the strength of a last round win! 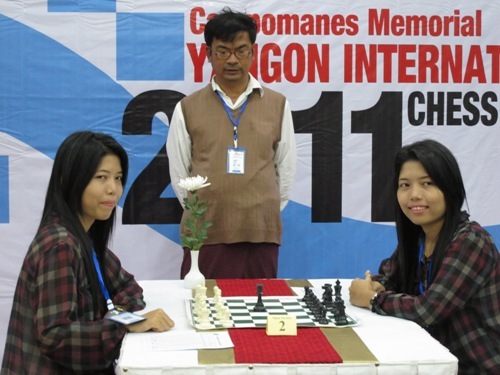 IM Nguyen Van Huy from Vietnam led Indian’s IM Atanu Lahiri, Filipino IM Richard Bitoon, Veteran Myanmar’s IM Myo Naing (who was arguably the best of the locals), IM Dinesh Kumar Sharma (also India), Mount Mount Latt (another unfancied Myanmar surprise package) and Mari Joseph Turqueza (Philippine junior Champion) to equal 3-9th places. 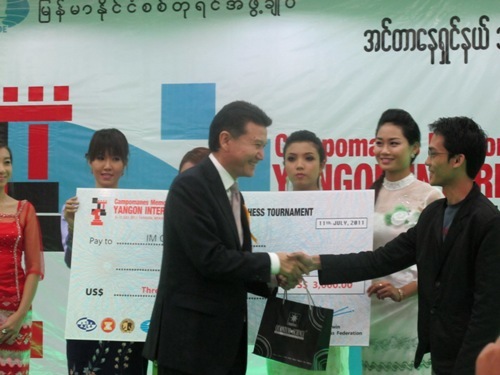 10th-12th places were all Myanmar, IM Wynn Zaw Htun who was expected to be leading contender, Myint Han and Zayar, all on 6 points. 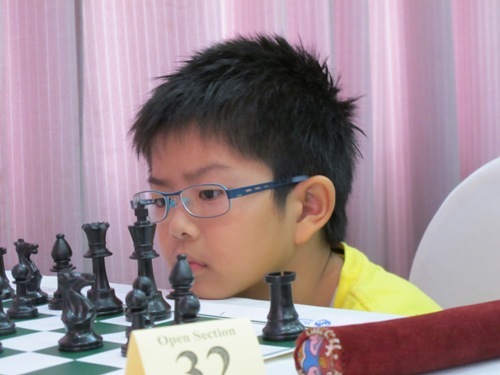 Young players also participated, the impressive Cyrus Low from Singapore winning the U-10 prize, Malaysia’s Dilwen Ding edging his compatriot William Lee for the U-14 prize, and Elgin Lee Kah Meng, also from Malaysia doing very well with 5 points and winning the top junior prize. 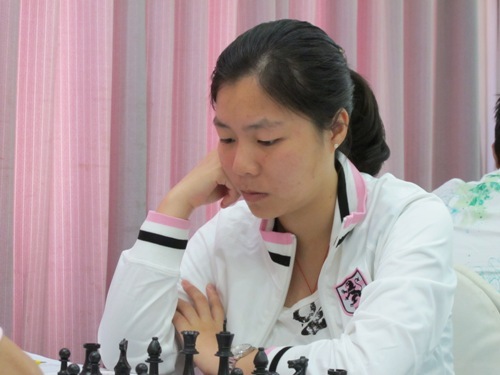 Of the 6 women playing including the charming Myanmar twins May Hsu Lwin and May Hsett Lwin, it was a determined WIM Wang Xaohui who took the special top woman award. But the centre of attraction was perhaps 75 year old Srivatanakul Pricha from Thailand whose energy put many players to shame!